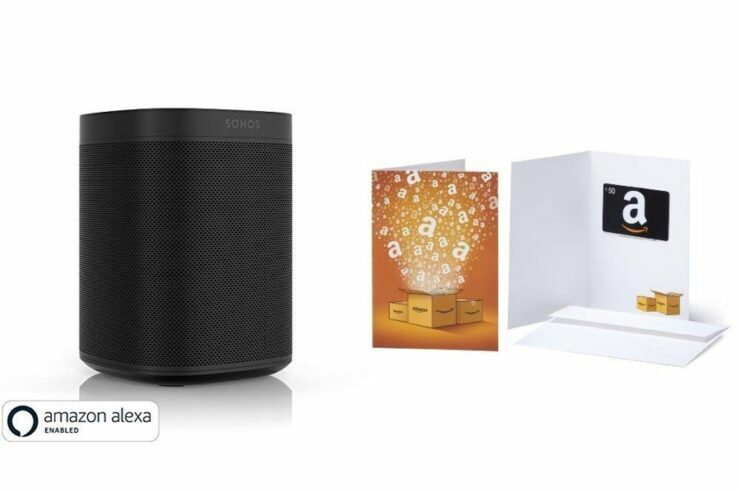 You can pick up a Sonos One speaker with a free $50 Amazon gift card for a price of just $199. That’s a really amazing deal! If you’re buying a smart speaker these days, the choices are quite simple, really. Either you go ahead with the HomePod if you’re well tied into the Apple ecosystem, or you grab something like a Sonos if you want something that works across the board and packs a powerful voice assistant. Sonos One is one of the best speakers out there that not only packs Amazon’s very own Alexa assistant, but also harnesses rich sound, a compact design and can play music from multiple sources like Spotify, Amazon Music etc. For a limited time only for Prime Day, Amazon is offering the Sonos One for a price of just $199. But there’s something interesting here too: see, it’s not just the speaker you’re getting for that price, you also get a free $50 Amazon gift card which you can use towards anything you like on the retail giant’s website. Maybe buy a pair of slippers while you’re at it? It’s totally up to you.